Far Cry 5 swap ur female character's head with Faith's head? 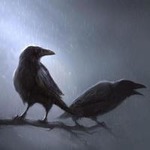 | Mods Forums - Mods for Far Cry, MGS & more! Far Cry 5 swap ur female character's head with Faith's head? Does anybody even tried to mod FC5 yet? So far i only found unpacker on Xentax but that's it, but i would still love to know how, and is it possible to swap ur female character's head(and hair obviously) with Faith's? Even if we did make such a mod, we still can't network it. It is pretty pointless when you can't see it 90% of the time and none can do it too XD. I am not sure but in theory swapping xbgs could work as FC5 utilizes character kit system for its characters, including deputy and faith. Just have to wait for proper tools. Oh, almost forgot. 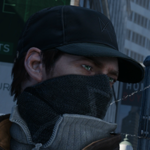 Ubisoft added character re-creation menu in latest patch. Modding shop file to include more heads *shouldn't* be very hard. aren't there already tools released for modding FC5? Are you sure? because i only found an Unpacker, not Repacker! Where can i find the Repacker then? well, idk if and what that other guy released, if it's a repacker or unpacker or both. I, for me, am using my own tool for modding the editor and /or the game. 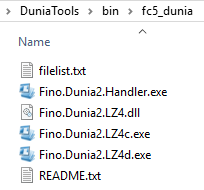 An updated (but not yet released) version of my Fino.Dunia2.Handler used in my GUI for Dunia Tools. I'm sorry, but I've currently no plans in releasing the tools. I personally dont want to have stuff released like unlimited silver bars or any kind of unreleased future content leaked which might come within a DLC or Live Events, therefore I'll keep the tools private for a while. Why not asking the guy with the other tools? I'm pretty sure he will share his stuff, as he already released something. Aw it's sad that you won't release this, tbh i can't find any tools like yours, your is the best at it, and why do you worry about Silver bars, Ubi desrves getting a bit "punished" for the fact that they added micro-transactions in game , plus any trainer or simply Cheat Engine can give you ultimate silver bars, and about the future content, there is not a lot of it in the files, i only saw like some menus and a very few misc objects and textures from DLCs that doesn't spoil anything at all! So all things you mentioned being worry about if you release the tool is not worth worrying about, cuz' it can be done even without ur tool taking part in it , but your tool is important thing to people, many people would love to do some mods and fixes like in previous Far Cry games, but without ur tool it's almost impossible! I wouldn't be so sure about unreleased content in the files. There are way more than just those. No problem) And about files, i guess i was looking too bad lol, but i must say that i think i saw some lua files there related to some kind of Mars Queen and other things, but anyways hope you will release your tool after all these DLCs release! And this mentality is why I personally will not help anyone on the xentax thread nor that other discord. The microtransactions don't even involve real money. You can EASILY earn silver bars in game, with the arcade and the live event challenges. There is absolutely nothing that has to be purchased with real cash. If someone doesn't want to participate in those extras and earn the silver bars then they can spend their money if the MUST have that certain skin right away. Ubi is trying really hard to connect with their fans and create after launch interest. They shouldn't be "punished" because they set aside content for those purposes. If something was only obtainable in a very specific way - for example buying your copy at GameStop gave you a unique weapon, but buying it from Amazon gave you a different weapon and neither of those weapons could be obtained any other way then yeah I see the point, but everything is available to everyone. The problem is a self entitled attitude that everything should be available from day one.